The pattern seen in this post is Nordic Triangles. You can find it here in the shop! Hi, I’m Dr. Suzy, and welcome to Quilting Medical School. 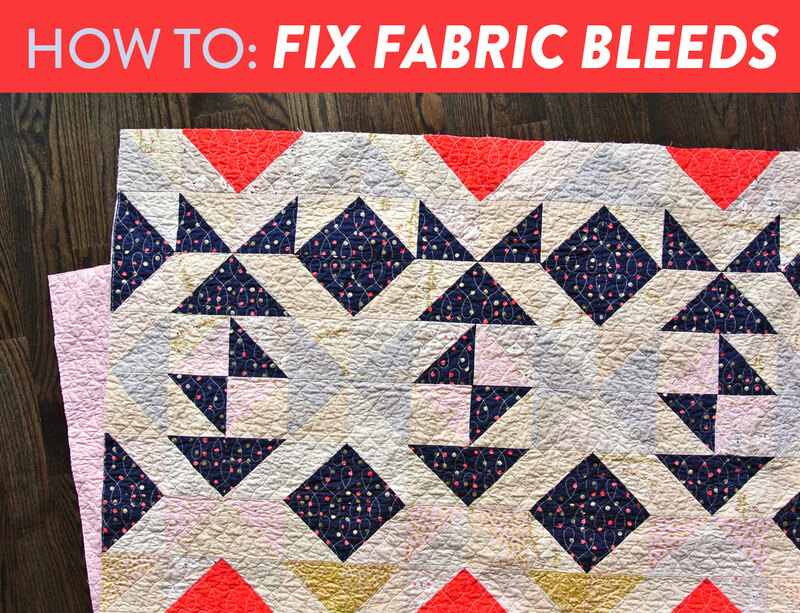 Today’s class will be about a special sort of quilt surgery: fixing fabric bleeds. Fabric bleeds are one of the most common quilting “emergencies,” and they can be pretty traumatic. Sadly, I speak from experience. One cold November morning I discovered a quilt-sized box on my doorstep. My high-flying joy plummeted into stabbing fear when I realized that the top of the box was soaking wet...and not just water wet. Oh no. Soapy wet. My freshly longarmed quilt had been soaking for hours in spilled cleaning solution from a box that was sitting on top of it. GASP! and NOOOOOO! The following 24 hours were a harrowing life and death fight for my quilt's survival. 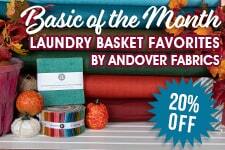 I tried to recall all of my fabric dyeing knowledge from my time as a fiber arts major in college as well as researching eeeeeverything the internet had to offer. This is a photo my husband took of me the following morning. PTSD is not pretty. 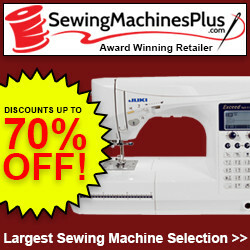 Just like a medical injury, fabric bleeding can be both treated and prevented. Today, we’ll talk about both. Let it Rest. We’re talking about a good long sleep, here. Make sure every bit of the quilt is underwater (so none of the water dye sticks to the quilt at the water line), and give it a full 12 hours. (But what if you want to take a bath? TOO BAD. Your quilt needs some R&R.) Don’t worry if things are looking very dye-ey up in there – the soap’s job is to keep the dye suspended in the water, and not in your quilt. Rinse and Repeat… if necessary. It’s time consuming, but if you really want to heal your precious quilt, keep repeating the process until the water is clear for about 6 hours or so. When things are looking clean and clear and under control, go ahead and give your quilt a final cold-water rinse. This is also a good time to add some Retayne to the water to firmly lock in the remaining fabric dye. Now carefully remove your quilt to dry. Disclaimer: This process may not be 100% successful 100% of the time, but every medical procedure has risks. It’s the best, most effective method out there, so it’s worth a shot, especially when a quilt’s life is at stake! Now that the crisis has been handled, let’s talk about some preventative measures you can take to prevent this from happening again! Pre-Wash. Now, we all know that we should prooobably pre-wash and press fabrics before cutting… but do we always do it? Don’t worry, we’ve all had the temptation to jump straight into cutting. Resist! Form a support group if you have to! Pre-washing your fabric, whether it’s commercial or hand-dyed, will set you up to have minimal to no bleeding if and when the quilt gets wet. If pre-washing all of your fabric just simply cannot fit into your schedule, try to at least pre-wash vivid colors like navy, red and purple. Using a color catching sheet can also save your life, so go ahead and toss one into the wash while you're at it. Here's a blog post with more wonderful pre-washing info. Congrats! You’re now a certified Quilt Doctor. Go out and do no harm! And be sure to let me know what has worked for you! 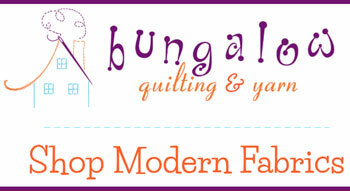 Check out my favorite sewing gear and supplies! Fusible Batting Tape: Why You Need It and How to Use It. Sighh alright, I guess it’s finally time to start pre-washing my fabrics. I’ve always avoided it out of stubborness and laziness but I suppose it’s time I start doing things right. Do you recommend in the washing machine? Or will a quick run through hot water in the tub do the trick? What kind of detergent? Great post, Suzy. I cannot underscore enough the importance about the pre-wash process. It’s annoying and time-consuming, especially because ironing is required after the fabric is dry. But it is worth it, because you don’t have to worry about bleeding again. But I have a question. What do you do with pre-cut jelly rolls and charm squares? Pre-washing them is not a great option, because they fray too much and crinkle in the dryer, making ironing very difficult. I tried this with a few jelly roll strips, and because of the fraying, they became 2 1/4″ strips, or less. Probably, have to wash the quilt when it’s finished with a color catcher? Just guessing here. Your thoughts? Thank you. Great question! That’s the one hole in pre-washing – you can’t pre-wash pre-cuts. 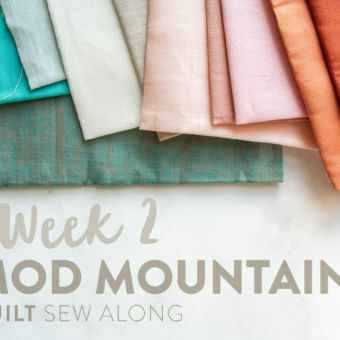 In that case, I would sew with your pre-cuts (anything the size of a fat quarter or smaller) and then use a color catcher or two in the wash once it’s time to launder your quilt. Check out this article for more deets on that. I’m glad you had the same responses; 1. Don’t pre-wash anything smaller than a fat quarter. And, 2. Everything you said in your more deets article. I feel as though we’ve been down this road together now. lol. Great suggestions, Suzy. Thanks again. 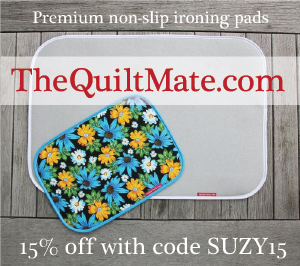 Suzy, I am a textile conservator who does lots of wet cleaning of antique quilts. 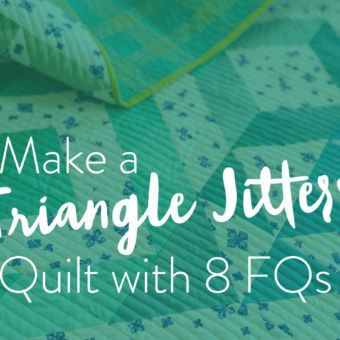 I think your article needs to be very clear that this method is not best for all quilts. I would never put a quilt in super hot water. I would also double check to make sure it is all cotton. Wool can’t even take very warm water. It will felt. Some vintage/antique quilts have dye break down over the years. Be careful. Test the dyes. Most of all please clarify that your method of using HOT water and soaking for hours and hours should only be done in a dire situation. The water the quilt is washed in will also affect the washing. Well water? Town water with lots of chemicals? I love Color Catchers. Always use those when washing dyed textiles if you worry about bleeding. When drying quilts it is best to put toweling/sheeting underneath and on top of the quilt and change when wet to more dry sheets/toweling. Those covers will attract any loose dyes and dirt/stain that might still remain in the quilt. Dawn has enzymes in it and attacks oily stains. There are other chemicals that work to remove acids, proteins, etc. In most home situations it is best to use ALLFREE or Arm and Hammer detergent that is free of perfumes and brighteners. 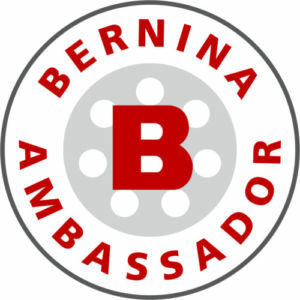 Many of the “antique wash” products have in it oxygen based products, Borax, baking soda, etc. in them. Unfortunately cleaning products are not required to list ingredients so people need to be careful. Clean today could mean very yellow in a few months. I hope this info has been helpful. Washing textiles with bleeding and stains can be a very complicated topic. Glad your quilt came out well. I totally identify with your panic. Do Batik fabrics bleed? I just made a stained glass look with batik precuts and I need to block it flatter after quilting. Batik fabrics are notorious for bleeding – mostly because they tend do be rich, vibrant colors. If you used a lot of dark blue, red or purple batiks, I would take some precautions. Excellent, excellent blog info!! I ALWAYS prewash my fabrics, even white. Yes, white can bleed onto dark colors in your quilt, ask me how I know 😣! I have a similar question. The quilt top my grandma was teaching me how to quilt on (we only had one border left) recently came back into my possession, with an oil spot on the background fabric. I have no idea what to use and the fabric is orange, really orange and old. Any suggestions? Thank you! Oil…that’s a tough one. My best guess is to try some gentle dish soap – possibly even the Dawn I linked to above. That stuff is meant to cut through grease, so hopefully it will work here too. Good luck! I had a similar problem I used Grandma’s stain remover soap. Bought it at WM. At first I made a diluted solution…did not remove spot. Use full strength and spray with water and little rubbing with micro cloth. After several attempts spot gone. It’s literally called “Grandma’s Spot Remover” https://www.amazon.com/dp/B0021JD2S0/ref=asc_df_B0021JD2S05165355/?tag=hyprod-20&creative=394997&creativeASIN=B0021JD2S0&linkCode=df0&hvadid=167129443640&hvpos=1o1&hvnetw=g&hvrand=16632032109797930004&hvpone=&hvptwo=&hvqmt=&hvdev=c&hvdvcmdl=&hvlocint=&hvlocphy=9031336&hvtargid=pla-309470205538 Best stuff at removing spots! I cleaned up an old feed sack quilt with it.. amazeballs stuff! My son got a grease stain on his necktie. Put baking soda on it, left it there for about a day, but when I whisked it off, no stain. Depending on your stain, you may need to repeat. You can also cover up any bleeding areas with color catching sheets (pin them with saftey pins), then wash in cold water as usual. May take a couple of washes, maybe with fresh color catching sheets, to get it out. That worked for me. great info. I prewash in washing machine (warm water)with a color catcher sheet, one or more depending if there are lots of reds, dark blue or purples, darks period. Pre-cuts. I have just started using them. 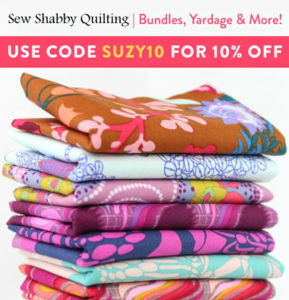 I serge the edges of FQ’s and then wash, in fact I serge the edges of all my yardage. I haven’t used jelly rolls yet. 5 and 10 inch squares I do NOT wash but wash the finished quilt in warm water with color catcher sheets. Note: I started sewing as a garment sewer and one always pre washed fabrics and zippers or you were really sorry so I guess it is easier or me to think of pre washing as the first step. First time I’ve heard to pre-wash zippers! Makes sense- but even if they’re polyester? As a quilter, I’m not very familiar with polyester shrinkage. I’m guessing that it’s probably not a bad idea to go ahead and pre-wash to be safe. Yes, I wash the zippers, too. Always pre-wash if the item will be washed later. Thanks for this article Suzy! I always prewash my new fabrics, fat quarters and smaller pieces as well either by hand or in the washing machine and I don’t mind fraying, just cut the edges clean again if necessary. Haven’t used jelly rolls yet though. For oil stains I got Grandma’s Secret Spot Remover at Hobby Lobby on my last trip to USA and it worked so well that I can wear the trousers which had an oil stain again! Glad I do fabric prewashing as I lately bought a bright pink fabric from the local fabric shop and that fabric bleeds like crazy! I went back and complained about it to warn others who might use the fabric and not wash it before. My advice is to buy at least the dark fabrics you want to use from well known manufacturers, a similar colour from Makover did not bleed at all! I pre-soak pre-cuts before cutting them, I just don’t agitate. Why not? Will washing with vinegar set your colors. I wash my material with this over the years with no problem. Do you really need to wash your fabrics in a washing machine? I thought the point was to determine if the fabric bleeds and to get it wet so that you are preshrinking it. If that is the case a five minute soak in the bathroom sink would work or am I missing something? Of course if a fabric does bleed I can see going through the washing machine process but why put all your fabrics through that? I always pre-wash, even small scraps given to me by others, according to a system told to me by a friend years ago. I use containers from 500g to a 9 litre (4 gallon) bucket, depending on amount, and separate colours into groups as far as possible, i.e. red, purple, blue, green etc., and soak in salted hot water until the water is cold. Then rinse until the water is clear. I then put them all into colour-separated bags or pillowcases if there’s a lot, and put them in a cold wash with the rest of my washing. I dry them out on the clothesline and if possible iron while damp. I wash my quilts when they are finished and I haven’t had any colour runs. Hope this helps. I have to say that in 18 years of quilting, I have never pre washed my fabrics. Also I have never had them bleed when washed later, even very bright colours, and a navy single sized quilt. If you want to wash, then do it after making something. Of course you could spot check dark colours. Another reason to pre-wash is so that the sizing and finishes are removed. Many people are sensitive to these finishes; no surprise, when you realize that things like formaldehyde are used in the manufacturing process. Also, with the exception of batiks, all cottons will shrink some, and they will shrink unevenly in length and width. Subsequent washing may leave you with distorted seams. A friend of mine used Retro Clean on an old garage sale find with big old, very old blood stain in the middle. Worked fabulously and even took out old age spots. Brightened up the whole quilt. That’s great to know! Thanks for the tip! Hydrogen Peroxide has never failed me. And, I have had what could be devastating experiences. Before trying any other method. No water, no spit, no anything. Soak with hydrogen peroxide. Even if the blood mark has dried. I don’t call it a stain, because with this method, it is not a stain. 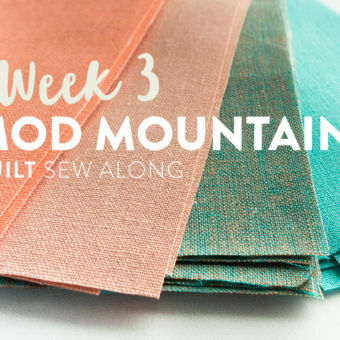 No, it will not take the color out of your fabric. I carry a small bottle in my hand sewing kit just in case. It has worked with very large blood spots and very small ones. 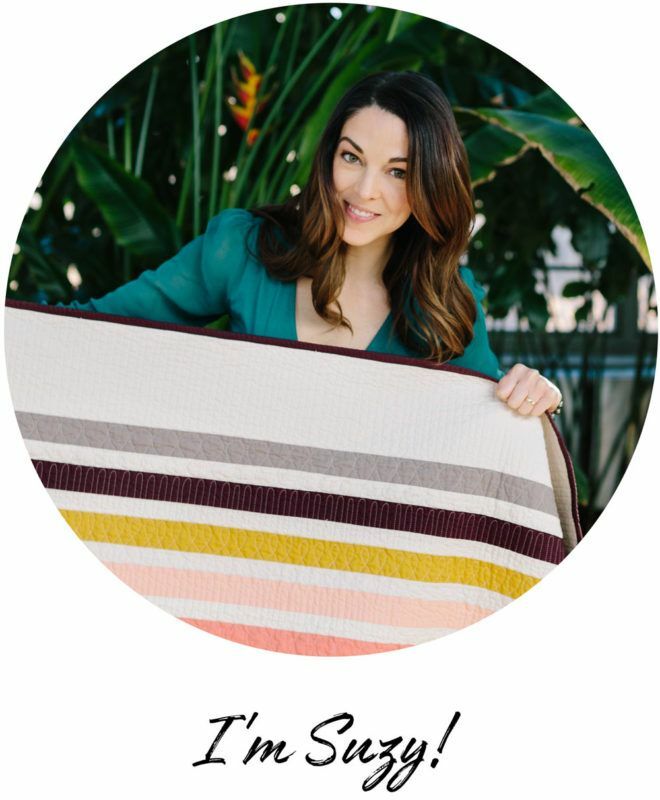 Leah Day said in a podcast that she had Hydrogen Peroxide destroy a show quilt. I did an Americana quilt a couple of years ago, using cream fabrics, blues and reds. Most were scraps. The red I used in all the sashing strips and a couple of borders – I remember buying it at garage sale – great price $2/yd. NOT! 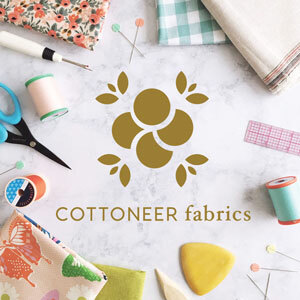 I could tell it felt stiffer than other fabrics – sure enough, later I saw it at JoAnne’s – I don’t buy quilting fabric there. When the quilt top was completed, A friend suggested washing it using 1/4 cup Synthropol in washer and 3 color catcher sheets. The color catchers came out absolutely MAGENTA. The quilt didn’t appear to change much in the areas that had bled – certain white prints picked it up more than others. Once the quilter was finished, she suggested using Suzy’s method from “Save my bleeding quilt” website. Only tub is on 3rd floor in my house. Filled tub up with hot water and added the Dawn. Put quilt in and after an hour, could tell water had color in it – not red but blue. I drained the tub and started to fill again – by this time I was out of how water. I started boiling pots of water on my stove, which is on 2nd floor. I carried up pot after pot after pot of hot water to the tub and managed to fill it again, added Dawn and the quilt. It soaked for 10-12 hours. My drain does not hold well – the water started draining out way too soon and I finally stuffed the corner of the quilt under the drain plug. After quilt came out, I figured I had done everything I could to remove the bleeding areas, so went ahead and dried it, bound it. Won second place ribbon at the fair without any comments from the judge which surprised me. I figured this quilt will not be a showstopper and will live with it. However I’ve never heard of Retro Clean that Lin suggested or the Perisol that someone else suggested, can’t find that post now. I do have Grandma’s Stain Removed but did not research how much to use or how to dilute it or if I should put on every stain area straight from the little bottle. I figured if the hot water and Dawn method didn’t work, then there’s probably nothing else that will work. When using color grabber sheets I find it best to pin them onto an old t-shirt. This prevents them from inadvertently getting clogged into the washer’s drain. This did happen and I had to have a repair man figure out why I had such a terrible odor coming from the washer. The color grabbers got stuck in the pump. Now I know better. Thanks for the tip! I never would have thought of this. This process worked for me,after 6 years hand applique and hand quilting,I washed the quilt to get the quilt markings out,horrified the blue and the greens bleed,A friend told me about the Dawn trick,after24 Hours the quilt was perfect. I have just spent the last 2weeks of washing all my fabrics in the really hot water,I was amazed at the amount of dye that came out of the fabrics,I even ironed them,in doing this I discovered fabric I had forgotten about. I too use Grandma’s spot remover! This is some great stuff! I also have used peroxied. My daughter bought a used wedding dress, after she got it home we realized that it had spots all over it ! ( Like someone had dropped something and it splashed on it.) I used peroxied with a paper towel under the fabric to catch anything that came out. It worked ike a charm! Had it dry cleaned and she looked beautful! I know that fabric can “bleed” but did you know that thread can, too. The quilt was quilted with a cranberry colored thread and while I was setting it out to dry on the deck, I noticed that the thread was bleeding. I immediately washed the quilt with color catchers, 4 times, and I used the whole box of Color Catchers. But it worked. So now, be careful on the color of thread you use. I didn’t know that! Thanks for the warning! 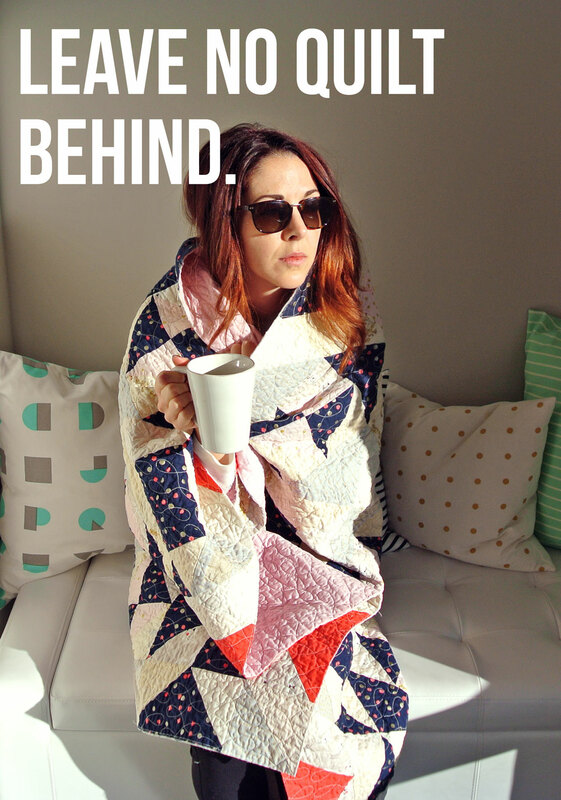 That happened to me with a quilt I had professionally quilted. I don’t know what brand she used but the red thread bled (say that 10 times fast) onto my patriotic quilt! By the time I figured out that it was not fabric bleed, she had moved to another state. Should I try the Dawn method or go straight to the Color Catcher? With an active bleed, I’d try Dawn first. Great stuff, Thanks! I have used everything but the Dawn soap thing. I’m allergic to it-and need to use the nitrile gloves. Retro Wash has removed OLD stuff from several of my customer’s quilts. Be careful of the lining in old trunks. The varnish stain is impossible to remove. You may lighten it but be careful-extra careful if the quilt is really old, it may fray. I pre-washed some patriotic fabric as I would the finished product and the red bled into all the white spaces. I went and got the Rit color remover. Worked after about 3 soaks but it also bled out the blue. Now I have red, white and sickly yellow fabric! Oh no! I hate to hear that! THANK YOU, THANK YOU, THANK YOU for this blog! This morning I washed a newly quilted throw that contains some reds and blacks. I threw in a few colour catchers and the oddest thing happened. All my white squares were still perfectly white (yeah! ), but one series of squares that have some white in them all went dark pink – eek! Like yourself, off to the internet I went in a panic. I am currently soaking the blanket in my bathtub. It’s only been two hours and already about 75% of the pink colour has come out. In fact, a couple of squares I’d say have about 90% of the dye out! Thanks for the post! I had a devastating color bleed on a quilt that I just finished. First time in 20 years of quiltmaking that this has happened to me! Instead of freaking out, I went to Google and I found your post. I grabbed the Dawn (I just used the standard blue Dawn because that’s what I had) and I filled the tub and soaked the quilt all day and overnight changing the water a few times. It worked! Good as new! And now I have color grabbing sheets and Retayne on hand. Thanks for saving the day (and my quilt)!!! Yay!!! I’m so so happy to hear that! That’s a tricky one. If it were me, I would only spot clean the area that has been effected by the green bleed. In a small area of the bleed, first test to see if you’re going to make it better or worse. I would saturate the area with water and then scrub a tiny bit of Dawn. After scrubbing, rinse that off. If that seems to be helping, keep doing that until the bleed is gone. If that’s not working at all, you may need to try a stain remover that is a bit more heavy duty such as Grandma’s Secret Spot Remover or OxiClean. I have also heard that is you combine equal parts vinegar and baking soda into a paste, you can scrub that into the fabric as a stain remover. Baking Soda can be kinda harsh, though, so only do that if the clouds really are white. My best advice is to test in a small area before scrubbing the whole thing. Good luck! I have color bleeding from a tshirt quilt I just washed for the first time. I assumed those shirts had been washed a hundred times and bleeding wouldn’t be an issue. So if I get the bleeds out after bathtub soaking, will that prevent it from happening again? Now that you know your fabric is prone to bleeding I suggest doing two things next time you wash it – 1. Include at least 1 and up to 3 color catching sheets 2. Dump some Retayne into the water. This chemical locks dye into fabric to prevent future bleeding. I Have a maroon 9 patch quilt set together with white blocks. The white blocks have collected maroon dye from a new Maroon sheet that was being used on the bed. Kind of rubbed onto it. Would your tub method work as well on this type of bleeding? You could try it. Also spot cleaning with a stain remover is a good option too. So, I haven’t yet prewashed any fabrics, and have put together about 7 quilt tops–Aside from a couple of older things I’ve done, I have gotten no farther than basting so far! All of these tops have vivid colors. The one I am putting together now is for my daughter’s birthday and I want to have it actually layered and quilted in a week, not left as a UFO. All very rich, heavily dyed batiks. Does it have a chance to survive even a single washing? If I follow the instructions above with the bathtub or pinning the color catcher sheets to it, will that work? Thank you! Does that stand a better chance than the tub method you outline above? The tub method is what you should do once you have a bleeding problem. Hopefully, with those two things, you can prevent a bleed from ever happening. Oh my—you are a wonderful and funny young woman! (And I have a feeling you know what you’re talking about. I recently bought 3 beautiful handmade quilts at a garage sale, and forgot to wash on gentle-cold cycle. Thanks, so much, and happy blogging!!!!! What a lucky day at a garage sale! If you are currently in the middle of a bleed situation, go ahead and submerge your quilt in water so the dye doesn’t have time to set any more. You can either try spot cleaning with a stain remover in the mean time, or add Dawn later. Good luck! All of the products are linked to the listing on Amazon. Some of these things you can probably get at your local craft store. Thank you so very much for this post!! It worked, I used palmolive dish soap because it was 7pm and I live about an hour plus round trip from a grocery shop. I made a red and white quilt for my niece for graduation and even in cold water with color catchers it ran horribly!! I have never has issues, but I did use pieces from scrap bags, stash packs. Live and learn. So silly question about the tub idea. How do you actually rinse? Do you let the water out and fill up again or do you run the quilt under running water? I prewashed the fabric for a quilt I made for my daughter. She took it to college. She got sick so she washed her quilt. She put in several color catchers, 5 or so, but there are still a few small spots where the red fabric bled on the light gray and white. I’m considering trying your process but don’t want to have a bigger mess than I started with. I also like the pin color catchers to affected area as well. Thanks for all of this! Not a silly question at all! To rinse, drain the water in the tub and then fill a little back in. Jostle the quilt around and let it sit for at least 30 minutes. If the water remains clear, then you can fully drain the water and more on. However, if it looks like some of the dye has leaked into the water, you’re still dealing with the bleed issue and it’s not quite time to pull the quilt. I’m not a big fan of pre washing, mostly because I use lots of pre cuts and like the crinkle look that happens after you wash a quilt for the first time. Because of that, bleeding is something I always worry about. This method is exactly what I’ve been using as my “first wash” for years and I’ve never had any permenant bleeding situations so it’s a great preemptive measure as well as emergency method. Thanks for sharing Suzy! Thank you for this. I do pre-wash all my fabrics before I use them, despite people saying the “new” fabrics don’t need it. Am teaching my granddaughter and the first thing I did with her new fabrics was show her how to hand wash them. However – I do not have a bath – have not had one for 35 years and this could be a problem. I have one area of one quilt which my new rescue cat decided to disgrace himself on, so soaked it – and the red colour ran! There is still a noticeable mark. Any suggestions? You could spot soak the area in a sink or bucket. Just follow these same instructions, but only in that one area. My one alteration would be to not let it soak, rather keep moving it around. I would hate for you to get a dye ring around the area of the fabric that is not in the water. Will the tub, color catchers and dawn work on an applique quilt that was washed and dried about six years ago? It has several places where the fabric bled on the top and on the back. Also some of the lines from my marking pen did not come out. Was afraid to wash it again because I didn’t want to make it worse. I also have never washed a quilt in the bath tub. Hmmm…interesting predicament. I think if the dye stains are bugging you, it’s worth a shot. Since I wouldn’t want any of the appliqué pieces to come loose, I would say to only scrub very lightly on the dye areas. You could also try spot treat it with hot water and Dawn soap. Hi Vicki, and thanks for visiting my blog! 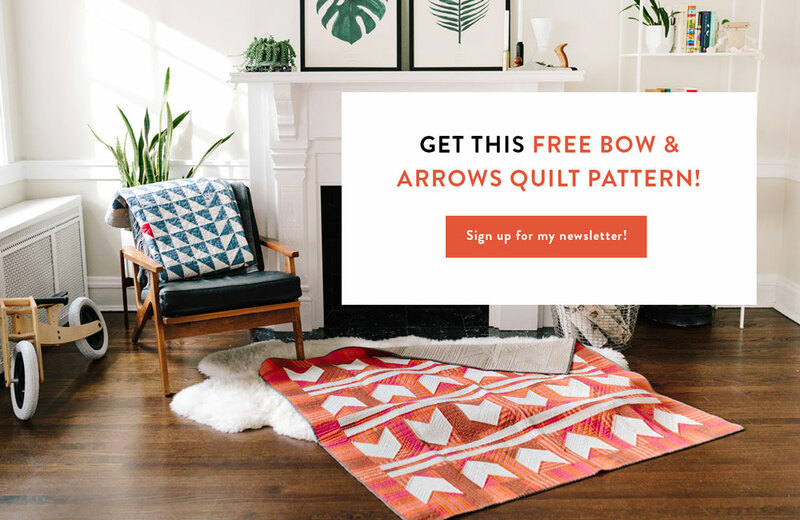 It’s been a few years since I’ve had to deal with a bleeding quilt, so I can’t say for certain whether or not I read your blog post when looking into various ways to fix a quilt. I can say, that after working towards a fiber arts degree in 2008, I became well acquainted with dyeing fabric as well as the unfortunate fabric bleed. 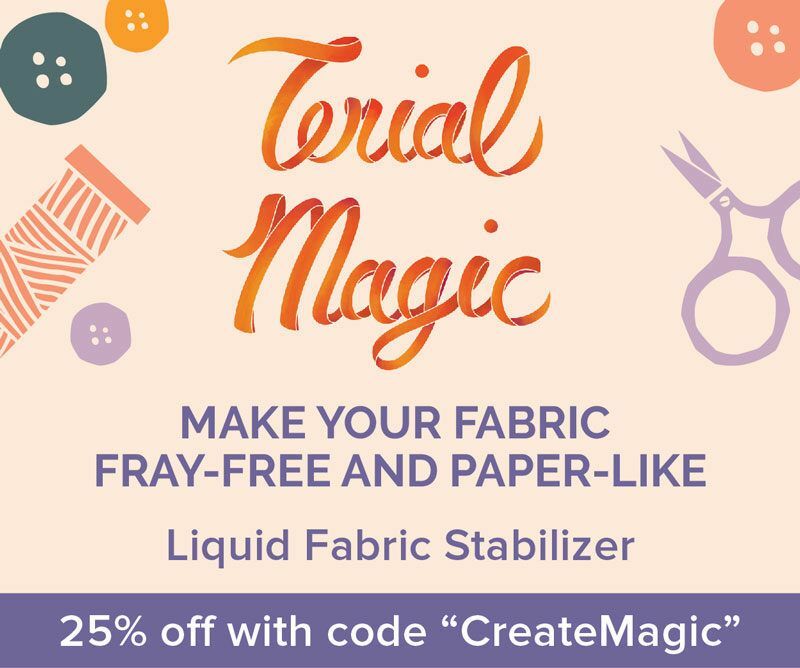 These techniques explained in my blog are not unique, but in fact, they have been used by hundreds of textile artists around the world. I was using them over 10 years ago in Kirksville, Missouri where I got my degree. I am sorry that you feel I’ve plagiarized. I do work very hard to write these posts in my own unique voice and I take plagiarism very seriously. I have now read your blog and see enough differences to feel confident that they both can happily exist on the internet without fear of copyright infringement. Like many other bloggers out there, a lot of us write about the same thing, and in many instances, our conclusions and tutorials are also similar. Many unique voices spreading crafting information are one of the reasons we are having a wonderful renaissance in quilting! If you have more concerns please email me. I’m working on a hand-appliqued quilt that I started years ago – while I was basting the edges of the applique pieces and using freezer paper, I decided to try gluing some of them instead. Now I find that the glue has hardened, making it hard to get the needle through. I used a damp cloth to soften the glue and I see that the dark red fabric started bleeding! I’ve got quite a bit of applique to complete before I have to wash this quilt – I don’t know whether to do the top before it is quilted, which might ravel if washed, or wait until I quilt the queen-sized quilt and then have to try and handle a heavy quilt in the bathtub. Any suggestions? That’s quite the predicament! Let me think…If dabbing the fabric with water created a bleed, washing the quilt will be a little scary. The main consolation with washing the entire quilt is that with the power of good soap and color catchers, the excess dye may all magically leave the fabric and attach to the color catchers. Let’s hope for that. In the mean time, I would finish appliquéing. Like you said, the appliqué might unravel and ruin the quilt design. Once the quilt is finished and washed, if there are any bleed spots that just won’t go away, could you place more appliqué pieces on top to cover the incriminating areas? On a different note, I think glue will still work if you use just the tiniest amount. It sounds like it got a little globby during the application process. Have you tried a fine tipped applicator such as this one? Or even a glue stick? Suzy, Thank you for your post and newsletter. I like the rest here am having a problem with a quilt top bleeding. I haven’t had it quilted yet, but some of the material got wet and the red started to bleed onto the white. Thank God I have time and I found the material to rip it out and start again. But I am curious if you would rip it out or try your method of fixing a bleeding quilt. Would it make any difference if it is a top only compared to a quilt. I too would rather not prewash anything, but after this I will prewash everything. Any help would be appreciated. I’m hesitant to ever wash a quilt top before it’s quilted because I worry about all of those raw edges. What’s even worse than a bleed is a bunch of weak seams that will quickly turn into holes throughout the quilt. I think in the future, you’re always going to be safest by pre-washing at least your dark, potentially “bleedy” fabric. Another option I may try too is even if the quilt top has bled, gently spot clean only that section with Dawn detergent. Then go ahead and quilt it. Once the quilt is bound, submerge the entire quilt in hot water and work on the bleeding fabric some more. You saved a quilt today! Black (well, the dirty purple dye) into white fabric. All gone! Thank you so, so much. Disaster averted. (Used Fairy dishwashing liquid). Thank you so much for your help on fabric bleeding quilts. I never knew about color-catchers, or “Grandma’s spot remover,” or Retayne so I have a whole new education on cleaning quilts. I also appreciate your advice about soaking and using Dawn once the fabrics have bled. I finished a quilt I had been working on for years (off and on because it was hand-quilting). The colors were maroon, dark blue, and beige with off-white backing. When I started to spot clean the quilt pencil markings on the dark fabric, and the blue pencil on the off-white, the maroon and blue bled on all the surrounding fabric and the backing! I was scared I had just ruined the quilt, it looked terrible! I used the Grandma’s solution and the color catchers in my front loading washer on the delicate setting. It took three tries after rubbing in the Grandma’s solution and using fresh color catchers (3) each time. It worked! The off-white is once again clear and the quilt looks great. The stitching has also held up so I feel very lucky to have read your blog and Thank You so much. Oh yay!! I’m so glad it worked out! I’m so glad it worked out! Bleeds cause such horrible trauma. I didn’t previously but now I always prewash all fabric, including precuts that were given to me (I don’t usually buy them). Most don’t run, but enough of them do to assure me that it’s necessary. I do this also because a good friend of mine found that a backing fabric shrunk considerably more than the quilt top after laundering, leaving a less than desirable effect. I have also found that sometimes the fabric you don’t expect to bleed, is the one that does. It’s a Christmas miracle! Yay! Your post saved a quilt I’m gifting to my brother in a few days. The top is a mix of red and white prints with a large white appliqué logo, and after the initial wash there were pink streaks on the white logo. I used boiling hot water in my tub, Dawn dish soap, and soaked the quilt for only 3 hours, but it totally worked! No more pink, and the color catchers I threw in the machine for the final wash had no color on them, so the soaking did the job. I can’t thank you enough for sharing this!! YAYAYAY!!!! I’m jumping up and down for joy with you! Curious if this is something you have experienced. I just helped my daughter make a navy blue suede skirt that will be attached to a metal cart for a trade show. Turned out great. We did not prewash….now…..my white sewing machine, which is a plastic surface is stained blue. Really bled. My hands, tape measure. You name it. I ran across this post while frantically searching the Internet for a unique situation I find myself in—I purchased a canvas play tent secondhand for my daughter and decided to wash it before setting it up. Well long story short, half of it is red and the other half WAS white, but now of course, it’s a streaky pink. I am tempted to just try washing in the machine again with Oxiclean, but if the bleeding isn’t done, I don’t want to make it worse. Would your run soaking method be a safer alternative? I think submerging it in a tub would probably work best. Sounds like there is some red dye that still needs to come out. Help, I made a Christmas quilt out of red and white fabrics ( of course ) I attempted to wash it before gifting with color catchers in cold water thinking that would be all that it would require. well, I have bleeding. I will use your method, but my question is does it have to be the Dawn Ultra Pure dish detergent? Can I use regular Dawn that is blue? Any kind of blue Dawn detergent will work, just avoid the highly scented ones. Good luck! Thank you so much for sharing this information. Whew, It worked to get the majority of the red bleed out! There are a couple of small spots that I can live with. Now, should I do a final rinse with retayne to set the dye? and should I use cold or hot water? 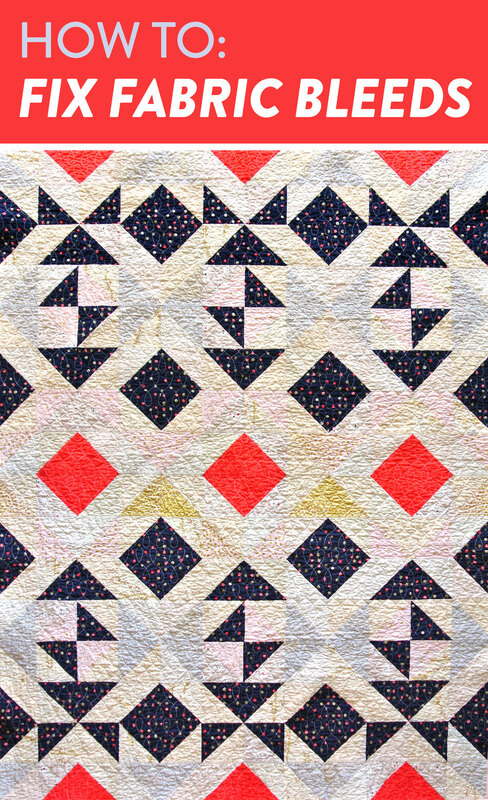 The bottle calls for hot water when pre-washing the fabric, but this is a finished quilt. Since you’ve been using hot water to release the extra dye that was bleeding, I would rinse with warm or cold water at this point. The more you wash your quilt with hot water, the more the fabric will begin to fade. Good point. Thank you so much for the information. 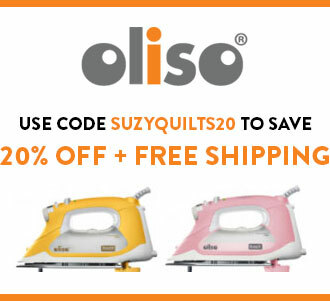 This has been a quilt saver! Ok…it’s not a quilt but it is quilters cotton. My mother made my three girls Dr. Seuss dresses from fabric we bought at our local quilt store. I am well trained (mom quilts) to pre-wash. I pre-washed all the yardage and dried in dryer. My husband washed the dresses in cold with the same detergent and machine as the prewash. One of my prints….white backgroundwith colorful book titles bleed on itself. I hung them to dry as not to set anything. Is this normal? And, I am assuming this method will work on dresses too? Thank you for this post too…everything else I found was a red sock in the whites kind of thing. Not helpful. What a bummer! I can’t say that fabric bleeding on itself is normal, but depending on the quality, it’s not uncommon. It sounds like you got this fabric at a quilt store, though, so I would assume quality is not the issue here. Try soaking the bleeding dress as the article says. If there’s still some bleeding after that, you could attack the spots with your favorite stain remover. Last week a friend of mine was able to fix water damage on a quilt with Shout stain remover.